Paper Masters provides an example of a New Technology in the Workforce research paper outline. If you are looking for a paper that discusses how new technology in the workforce, i.e., automation, robots, computers, etc… has effected the workforce, Paper Masters can provide a custom written one that focuses on this very business or MBA topic. Our writers can also examine more specific topics, such as how technology has effected the labor movement (unions) and has it caused a decline of union membership due to less jobs available or has it created more opportunities? The wonderful thing about Paper Masters is that we are here to help you design and produce a project that is tailored to your exact needs. Below you will see an example of how to approach a research paper on new technology in the workplace. Write a research essay that presents an argument on the topic of your choice. You may wish to write about an issue pertinent to other courses you are taking or to your field. Choose a topic that will be interesting and useful to you. Use APA style and follow the rules and guidelines for citations (use paragraph numbers for online sources) and use of a reference page. Enter the conversation with your opinion, demonstrating an understanding of argument by incorporating the opinions of the other writers. For example, you may use the opinion of a writer with whom you agree to support your argument. Don’t discount the power of refutation in supporting your argument–you may wish to refute arguments of someone with whom you disagree to strengthen your essay. Use 10 or more sources (include on your references page) and quote or paraphrase (use in-text citations with page numbers for printed material and paragraph numbers for online material) at least seven works from three or more types of sources (i.e., books, journals, newspapers, magazines and World Wide Web sites) as evidence of your thesis. Pay careful attention to incorporating your quotations, paraphrases and summaries using signal phrases to make them flow into your own words. Also be sure to cite clearly to distinguish your work from that of others. APA style to be used. The proliferation of computer and Internet technology has changed the way that society functions. Whereas many personal meetings once took place in person or on the phone, the wide acceptance of e-mail as a principle means of communication has served as the basis to eliminate many of these personal interactions. Although technology has clearly made personal interactions more efficient, it is clear that it has removed a critical element of interpersonal contact. In particular, individuals who use e-mail to communicate no longer have to develop interpersonal skills necessary for successful verbal communication. With the realization that technology can be both boon and bane to society as a whole, a consideration of how technology has shaped and changed society is warranted. To this end, this specific investigation considers the impact of technology on the development of the workplace. Through a careful consideration of what scholars have written about the utilization of technology in the workplace, it will be possible to trace the development and importance of technology in this environment. Further, by examining the impact that technology has had on the workplace it will be possible to understand the benefits and drawbacks that have resulted from the application of technology to the workplace. 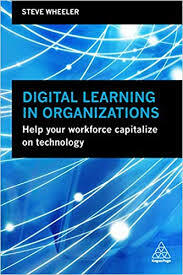 Overall, the benefits of technology are principally geared toward the organization. Through the implementation of technology, organizations can cut fixed costs and increase worker productivity. While employees enjoy the benefit of telecommuting, the merging of work and home can be challenging for some individuals. Researchers have noted that not every worker best served by working at home. In some instances, workers can find it difficult to find a clear separation between work and home. This can cause a decrease in job satisfaction and make the worker even more frustrated with his or her job. Considering the drawbacks of technology in the workplace as outlined in this research, it becomes clear that the disadvantages with technology impact the health and well being of the individual employee. As a result of using technology in the workplace, organizations have witnessed unprecedented increases in worker productivity. Although this should serve as the basis for helping employees cut back on their work hours, many organizations are using this increased productivity to garner even more work out of employees. As a result, many workers in the United States are working longer hours than ever before. With the realization that technology is often associated with improving quality of life, it is indeed a paradox that this has not been the case with technology in the workplace. In addition to the fact that technology has created additional stress for many American workers, research also demonstrates that as technology is used by employees in the organization, the amount of interpersonal contact that occurs between employees is decreased. Communication becomes limited to what can be provided in e-mail and many individuals are losing their capacity to communicate with one another. Unfortunately, the problems with communication that stem from using technology in the workplace are also having an impact on society as a whole. To illustrate this point, one author makes the observation that the use of the Internet is impacting the development of politics in the United States. According to this author, the advent of the Internet was touted as a principle means for individuals to become more politically aware and to more actively participate in the political process. While Noam argues the amount of political information available on the Internet has indeed increased over the last several years, he also notes that the Internet has made individuals passive in their discussions of politics. In short, because there is currently so much political information on the Internet, individuals have very little to discuss with their neighbors. As such, Noam contends that the process of political dialogue and debate has been lost as a result of the development of the Internet. Other researchers examining the impact of technology on society have noted that the specific cues that are lost as a result of communicating via e-mail rather than in person or on the phone can lead to increased hostility among individuals. In particular these authors note that when individuals are forming relationships online, delays in e-mail are seen as hostile acts, when in reality this may not be the case. Further, once a relationship has been established, individuals have a tendency to idealize others because they are not able to see their flaws. This process can lead to the development of false assumptions and the creation of a relationship that has no real meaning or basis. When placed in this perspective, it becomes clear that the technology is not only changing the way in which individuals in the organization interact with one another. In many cases, technology is changing the way that individuals in society interact with one another. Technology creates another layer in the communication process that can notably change how information is translated. While technology can save time and money it can also lead to considerable obfuscation among individuals and organizations. For this reason, it is important for both individuals and organizations to understand the ways in which technology is changing fundamental aspects of social discourse. Project Enable - Project Enable is a program out of the Klipsch School of Electrical and Computer Engineering at New Mexico State University. Computer Generated Imagery - Computer-Generated Imagery research papers discuss the use of computer graphics that create pictures in visual arts, video games, television, film and commercials. Nursing Shortage Literature - Nursing Shortage research papers examine current literature on the shortage of nurses in the United States. Japanese Companies' Mode of Entry in Developing Countries - Japanese Companies' Mode of Entry in Developing Countries research papers focus on the global expansion of Japanese companies around the world. Commercialization of Education - Commercialization of Education research papers overview the trend of decreasing emphasis on the humanities and increasing attention to the demands of students. Microsoft Vega Case Study - Microsoft Vega Case Study research papers that discuss the Equity and legal issues examined. Kickbacks - Kickbacks Research Papers examine the term of procurement and the governments level of involvement with this type of kickback. Technology in the Classroom - Technology in the Classroom research papers show statistical evidence that technology is important to use in every classroom and should be a part of every school's philosophy of education. Outsourcing Information Technology - Outsourcing Information Technology research papers write about IT and how it outsources easily. What is Net Neutrality? - What is Net Neutrality? research papers discuss the concept of net neutrality. How Technology Has Changed - How Technology Has Changed Your Life research papers explain how today's technological advances have impacted your life in light of information security. Teaching Statistics Online - A research paper on Teaching Statistics Online discusses the development of internet technologies and how they enabled the delivery of online courses. Internet and Election Campaigns Research Paper discusses an example of a paper order placed on a historiographical essay. How Technology Has Changed Your Life - How Technology Has Changed Your Life research papers explain how today's technological advances have impacted your life in light of information security. Media of Mass Communication - Mass communication impacts members of society by legitimizing a particular point of view through the means of repetition. The Internet of Things - The Internet of Things research papers discuss the network of physical objects that are embedded into electronics and computers that allows machines to communicate with each other. Paper Masters writes custom research papers on New Technology in the Workforce and looks at an order placed on new technology in the office with naming the pros and cons, and the way it has effected the labor movement.